Last week, European regulators of gambling and online poker met again in Italy. In January 16th and 17th, Rome hosted a meeting between the different regulators of online gambling in Europe, namely France represented by the French Regulation Authority of online gambling (ARJEL), Spain, Germany, Portugal, United Kingdom and Italy as hosting country, under the initiative of the Agenzia delle Dogane e dei Monopoli (AMMS). While main actors of online gambling, and more precisely those of poker, expected a richer agenda which implies the sharing of liquidities of European markets, the discussion focused especially on the improvement of the sharing of information. According to a press release published by the AMMS, the meeting was rather focused on the implementation of a mean to facilitate the exchange of courtesies between the regulators, in the framework of the Expert Group on Gambling Services (EGGS) of the European Commission. The discussion about the improvement of the sharing of information led to a visit of the SOGEI (Società Generale d'Informatica SpA), a public company which is managed by the Ministry of Finances. The company is in charge of the computerization of the tax system of the ministry, as well as Italian public administrations. New measures against illegal operators have also been tackled. The sharing of liquidities between countries where online gambling is legalized hasnt been discussed, even if the sharing of tables between Spain and Italy always remain open for 2014. 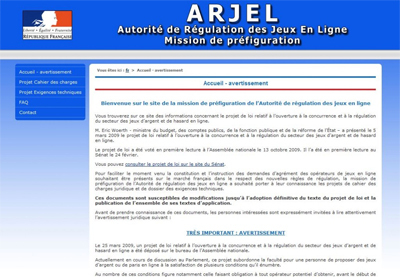 From its part, the industry of poker and other online gambling in France remain isolated, since the National Assembly has maintained the partitioning during the passing of the consumer law in December 2013.